Our experience in Heating, Air Conditioning & Ventilating business is renowned in the industry. We are referenced as a first choice in residential and commercial heating & air conditioning by many manufactures and building officials in Utah. We offer and install a wide variety of furnace products from York, Luxaire, Carrier, Bryant, Armstrong, Lennox, Tempstar, Day & Night, and Coleman in the Salt Lake City, Park City, Heber City, Ogden, Provo, and the entire Wasatch Front areas of Utah as well as Idaho, and Wyoming. No matter what type of fuel or heat source your home has, there’s a hard-working furnace ready to keep your family warm. Several of our main brands are for high end furnaces, very affordable and are highly efficient. Remember, the higher the AFUE rating, the greater the unit’s efficiency and cost-savings will benefit each month on your gas and power bills. If you Need Service in Salt Lake City, Park City, Heber City, Provo or the Wasatch Front. Call us today for immediate sales and service information to assist for all our major brands of furnace equipment needs. Give us a call so we can help you make the clear choices that will be right for your home needs, your budget and your family’s comfort! We know the demands of Utah, Idaho and Wyoming, and how to help you with your Heating and Air-conditioning systems. SCS Sheet Metal, Inc offering Salt Lake City Heating and Air Conditioning. 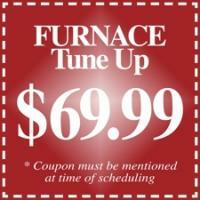 : Service, repair, install, or replace air conditioning, heating, fireplace, ventilation, furnace, and HVAC. Serving Park City, Heber City, Provo Utah, Orem, Salt Lake City UT, Ogden, Bountiful Utah and the entire Wasatch Front. Furnace Heating by licensed LDS church contractor. ,Air-Conditioning, Ventilation and Duct Work installation, service, repairs and maintenance. Also offering furnace installation, air conditioning repair, and duct work in Idaho, Wyoming and Colorado. Air conditioning financing available. Heating financing.